NOTE: I am in the middle of massive changes to this chart. If you have any information to help with this chart, please let me know. Contributed by Bruce Davies (ACDHDBC) August 2002 - Changes applied from 'The Wester-Hamilton Family' - researched and compiled by Marcelle White. Information on the descendants of Daniel Loyd Wester is provided by Michael Francis O'Connell and Annette O'Connell - August 2002. Contributions were provided by James Walton Wester (ACNBBA) for descendants of (ACN. Francis Asbury Wester) - May 2003. Contributions were provided by Rev. Thomas Nathan Wester, Sr. (ACACHG) for descendants of (ACA. Daniel Wester) - January 2006. D. Between 1763 and 1814 in North Carolina. A. John Fulgum (FUGHAM/FULGHAM/FULGRAHM/FULGRUM) Wester II. D. __-__-1822 in Jefferson Co. Tennessee. S. PRIVATE, SERVED WITH COLONEL THOMAS HUNTER. DAR VOL. 133. M. __-__-1783 in EDGECOMB County, North Carolina. B. __-__-1760 Isle of Wight County, Virginia. D. Between 1763 and 1814 in Jefferson, Washington County, Tennessee. 1782 in NASH County, North Carolina. 1790 CENSUS OF EDGECOMB County, North Carolina. (HALIFAX DIST). WIFE, 4 SONS. WILL: CHRISTIAN County, North Carolina. WILL DATED 12-07-1811, PROBATED: 05-__-1814. WIFE: ELIZABETH, SONS: DAVID, JOHN, WILLIAM, 2 Daughters. "ENCYCLOPEDIA OF AMERICAN QUAKER GENEOLOGY" Virginia, P. 88. 11-03-1809 - MICHAEL (NOW FULGHAM); DISOWNED FOR MARRYING CONTRARY TO DISCIPLINE. 10-26-1816 - ELIZABETH WESTRAY'S Daughter WAS VISITED. Note: I'm only quoting the first 3 generations in the genealogy that has the earliest dates. John Fulgum Wester b. in England 1723, settled near Tarboro, North Carolina. Fulgum Wester b. 1760 in Virginia, d. 1822 in Jefferson Co., Tenn. Md. 1783 Edith Wolley in Edgcombe County, North Carolina. Was a Revolutionary Soldier in Col. Thomas Hunter's Reg., N.C. Volunteers. Daniel Wester b. Dec 23, 1786, d. Aug 2, 1857. At the age of 15 went with Capt. Williams Co., to Natchez, Miss to quell an Indian and Spanish Rebellion. Later was with Gen. William H. Harrison in the Battle of Lake Erie. On May 1, 1804 md. Elizabeth Loyd, b. Dec 5, 1789, d. Nov 7, 1845 in Bedford Co., Tenn. Moved to Kingston 1810. Served under Col. Uriah Allison in War of 1812. More information extracted from Crawford Clan and Wester Family. John Wester was born in North Carolina about 1782 and died in 1846. He lived in Jefferson County, TN, in 1803, and served as Constable in December, 1828. He was still living in Jefferson County when the census was taken in 1830. He married Rhoda (no last name), who was a member of the Old Bent Creek Baptist Church in 1811. Their children were William, Elias, John Fulgam, Pleasant, Amos, and two daughters. Information about Elias Wester and family is mostly from Paula Jean (Wester) Waters. B. __-__-1784 Nash County, North Carolina. D. __-__-1814 Christian County, Kentucky. B. 09-22-1791 Nash County or Edgecombe County, North Carolina. D. __-__-1836 Tattnall County, Georgia. D. __-__-1848 Tattnall County or Appling County, Georgia. Richard Wester, receipt given by Lucinda Wester, admx of est. of Richard Wester, 4/18/1838, as grandson for Nancy Wester, one of legatees. P. 85, Tatnall Co. Estates, receipts given by heirs 11/24/1837; Alexander Johnson, in right of his wife; Henry Wester; Elizabeth Wester; Zilpha Wester; and George L. Gray, grandson for John Wester. George Gray also receives for Elias Wester. B. __-__-1815 Tattnall County, Georgia. M. 08-11-1836 Tattnall County, Georgia. M. To 1) Rebecca Sharp. M. To 2) Cornelia A.
Rec'd headright grant 1841 Tatnall Co. 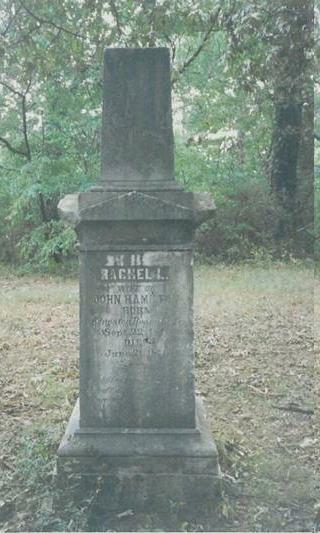 Removed to Appling Co. Ga. where deeds found for him and Elias dated 1844 and 1848. Information about Mary Wester and family was updated by Tom Covington 11-05-2011. B. 09-23-1818 Tattnall County, Georgia. D. 11-08-1898 Johnson Cemetery Montgomery County, Georgia. M. 02-09-1835 Tattnall County, Georgia. M. To 1) Alexander Johnson. B. 01-29-1810 Robeson County, North Carolina. D. __-__-____ Johnson Cemetery Montgomery County, Georgia. M. To 2) George T. Gray. B. 10-24-1843 Montgomery County, Georgia. P. W.D.W.C. Sharp and Martha Connor. B. __-__-____ Montgomery County, Georgia. Atlanta, Georgia, The Southern Historical Association, 1895 - transcribed by Karen Seeman. DETER JOHNSON, farmer, Montgomery county, Ga., son of Alexander and Mary (Wester) Johnson, was born in Montgomery county, Oct 24, 1843. His father, a son of Peter Johnson, a native of Scotland, was born in Robeson county, N. C, Jan. 29, 1810, and came to Montgomery county when a young man. He was a shoemaker, blacksmith and gunsmith. Guns and rifles that he made are in possession of members of the family now. He died in March, 1886. Mrs. Mary Johnson, now living, was born Sept 23, 1817, and was married March 9, 1837. The education of Mr. Johnson was as good as the county schools at that time afforded. He enlisted in Company E, the first organized in the county. Sixty-first Georgia regiment The company, Capt Charles W. McArthur, was a part of Lawton's, afterward Gordon's brigade, Early's division, Ewell's corps. The command left Georgia for Virginia in the spring of 1862, where it remained until the close of the war. Mr. Johnson was shot through the left side and wounded in the hips and left on the field at the battle of Gettysburg, where he was taken prisoner. When sufficiently recovered he was paroled and came home. As soon as he was exchanged he returned to the army, and re-entered his old company. At the battle of Cold Harbor he was again wounded, was given a furlough and came home to recover. He met Sherman's army on its march through Georgia, was taken prisoner and held till the close of the war. He and others were locked up in the courthouse, Sandersville, Ga., and while thus confined some Federal soldiers set fire to the building. Gen. Sherman rode up and ordered the release of the prisoners just in time to save their lives. For eight years succeeding the war Mr. Johnson followed timbering down the river, and then turned his attention to farming. In 1882 he established a saw-milling and cotton-ginning business, which he has continued till now, satisfactorily to his patrons and profitably to himself. Mr. Johnson was married to Miss Mary Lou, born May 27, 1843, daughter of W. D. W. C. and Martha (Sharp) Connor. To them the following children have been born: Ella Victoria, born May 24, 1871; Mrs. E. J. Wells, Montgomery county; Willie A., born June 28, 1875, and Mattie Elizabeth, born Oct 16,1880. He is now enjoying a quiet and pleasant home-life on his farm at Long Pond, Ga.
B. 02-20-1817 Tattnall County, Georgia. D. 04-25-1875 Echols County, Georgia. M. 01-19-1842 Clinch County, Georgia. B. 03-15-1822 Tattnall County, Georgia. D. 05-15-1880 Baker County, Florida. South Prong Cemetery. M. 02-22-1848 Decatur County, Georgia. M. To Penina L. (Penny) Driggers. D. 03-10-1896 Baker County, Florida. South Prong Cemetery. P. William Driggers/Amelia E. Lastinger. Drew Greene Co. land in 1805 land lottery; listed 1840 Decatur Co. census; and was in Appling Co. Ga. by 1848. Elias Wester, grandson of Salley Allen, orphan of Arthur Allen, made returns 1786/7, Nash Co. N.C.; listed on 1790 Nash Co. N.C. census; removed to Ga. thereafter, where 10/15/1802, Elias Wester of Tatnall Co. deeded to Abner Davis 150 acres. Note: Information supplied from Richard Cardell on July 26, 2003, researching the Driggers and Lastinger families, regarding County names in Florida. New River was formed from Columbia County in 1858. Baker County (and Bradford County) Florida were formed from New River County on December 6, 1861. B. 03-03-1852 Columbia County (now Baker County), Florida. D. 10-21-1939 Baker County, Florida. M. 02-07-1867 Baker County, Florida. M. To Robert N. Dowling. B. 04-__-1853 Columbia County (now Baker County), Florida. D. __-__-1875 Baker County, Florida. M. __-__-____ Baker County, Florida. M. To Judson C. Coleman. B. 06-28-1856 Columbia County (now Baker County), Florida. D. 01-28-1885 Baker County, Florida. South Prong Cemetery. B. 01-03-1858 New River County (now Baker County in 1858), Florida. D. 11-03-1923 Union County, Florida. Sapp Cemetery. M. 11-27-1879 Baker County, Florida. B. 11-03-1861 New River County (now Baker County in 1858), Florida. D. 03-28-1932 Baker County, Florida. South Prong Cemetery. M. 01-05-1882 Baker County, Florida. M. To 1) Nancy A. M. Goddin. D. 03-26-1908 Baker County, Florida. South Prong Cemetery. M. 03-22-1922 Baker County, Florida. M. To 2) Annie Richardson. D. __-__-1952 Baker County, Florida. B. __-__-1882 Baker County, Florida. B. __-__-1883 Baker County, Florida. B. 05-21-1884 Baker County, Florida. D. 02-18-1913 Baker County, Florida. South Prong Cemetery. B. 04-07-1886 Baker County, Florida. D. 09-01-1964 Baker County, Florida. M. 12-30-1906 Baker County, Florida. M. To Wade F. Barefoot. B. 07-14-1884 Baker County, Florida. D. 01-27-1952 Baker County, Florida. B. 12-12-1865 Baker County, Florida. D. 02-20-1911 Baker County, Florida. Woodlawn Cemetery. M. 04-21-1883 Baker County, Florida. D. 04-21-1916 Baker County, Florida. Woodlawn Cemetery. B. 01-12-1883 Baker County, Florida. D. 12-05-1922 Baker County, Florida. Woodlawn Cemetery. M. TO Evelyn S. Turner. D. __-__-____ Baker County, Florida. Woodlawn Cemetery. B. __-__-1887 Baker County, Florida. B. __-__-1889 Baker County, Florida. B. 01-12-1894 Baker County, Florida. D. 11-12-1953 Baker County, Florida. Taylor Cemetery. M. 02-08-1921 Baker County, Florida. D. 04-02-1992 Baker County, Florida. South Prong Cemetery. B. 03-14-1870 Baker County, Florida. D. 04-20-1926 Baker County, Florida. South Prong Cemetery. M. 02-17-1886 Bradford County, Florida. M. To 1) Nancy Jane Jordan. M. __-__-1887 Bradford County, Florida. M. To 2) Mary Della Jordan. D. 05-28-1947 Baker County, Florida. South Prong Cemetery. D. __-__-1929 Florida. Weyferer Cemetery. D. 02-__-1969 Lowndes County, Georgia. Sunset Hill Cemetery. Information about Martha Wester and family was updated by George McGee 08/2010. B. 09-18-1890 Bradford County, Florida. D. __-__-____ Duval County, Florida. M. To William Robert Thomas. 1910 census for Florida, Alachua County, township of Archer. Martha was married to William Robert Thomas b. August 1883, they had two children listed on the census, Clarence A. age 4, and Ernest L. age 2. B. 09-28-1892 Bradford County, Florida. D. 08-07-1964 Duval County, Florida. M. To Oscar Leonard Waters. ABADGD. Earnest Newton 'Buck' Wester. D. 08-15-1965 Duval County, Florida. Riverside Cemetery. M. To 1) Etta Wetherington. M. 09-12-1925 Baker County, Florida. M. To 2) Ivy Susannah Griffis. B. 02-08-1892 Baker County, Florida. D. 12-01-1978 Duval County, Florida. Riverside Cemetery. B. 09-02-1918 Liberty County, Florida..
D. 06-24-1977 Duval County, Florida. Riverside Cemetery. M. 07-06-1935 Duval County, Florida. M. To Robert Neal Johnson. B. 03-02-1913 Clay County, Florida. D. 02-01-1979 Duval County, Florida. Riverside Cemetery. B. 11-14-1921 Duval County, Florida. M. 07-07-1945 Duval County, Florida. M. To Thelma A. Pickett. B. 08-29-1946 Duval County, Florida. B. 09-29-1947 Duval County, Florida. B. 01-02-1949 Duval County, Florida. B. 03-02-1900 Bradford County, Florida. D. 08-__-1978 Hillsborough County, Florida. B. 03-26-1901 Baker County, Florida. D. 04-__-1971 Duval County, Florida. B. 05-23-1872 Baker County, Florida. D. 06-13-1924 Duval County, Florida. M. To Sallie T. Wells. B. __-__-____ Baker County, Florida. Sallie Married Elias (Doc) Newton Wester then C. H. Davis (Jacksonville, Florida). B. 08-22-1895 Alachua County, Florida. D. 06-05-1985 Columbia County, Florida. Forest Lawn Cemetery. M. To 1) Thannie Altman. M. To 2) Annie M. Combs. D. __-__-____ Duval County, Florida. Evergreen Cemetery. M. To 2) Ruby Lee Riley. B. 08-19-1900 Alachua County, Florida. D. 02-01-1990 Putnam County, Florida. Pineview Cemetery. M. To Ira L. Merritt. B. 02-22-1903 Alachua County, Florida. D. 01-__-1970 Glenn County, Georgia. Nunn Cemetery. M. 03-__-1923 Baker County, Florida. M. To 1) Margie Lyles. M. __-__-____ Glenn County, Georgia. M. To 2) Anna F. Bloodworth. B. 11-13-1908 Union County, Florida. M. __-__-____ Duval County, Florida. M. To 1) Leona Jeanette Harper. B. 02-17-1908 Pierce County, Georgia. D. 04-12-1977 Pierce County, Georgia. M. To 3) Grace Angeline Thomas. B. 03-30-1921 Kanawha County, West Virginia. D. 10-22-1974 Duval County, Florida. P. John E. Thomas/Tida M. Gillispie. (Children of Leona Jeanette Harper). B. __-__-1932 Duval County, Florida. D. __-__-1932 Duval County, Florida. South Prong Cemetery. B. 06-27-1933 Duval County, Florida. M. 06-02-1951 Clinch County, Georgia. M. To Alice Delores Boyd. B. __-__-1934 Duval County, Florida. D. __-__-1934 Duval County, Florida. Dunn's Creek Cemetery. B. 03-29-1936 Duval County, Florida. (Children of Grace Angeline Thomas). B. 11-12-1948 Duval County, Florida. D. 03-14-1985 Duval County, Florida. Forest Lawn Cemetery. M. __-__-1972 Duval County, Florida. M. To Sharon R. Bedenbaugh. B. 02-13-1950 Duval County, Florida. M. 12-01-1990 Orange County, Florida. M. To 2) John Wesley Waters. B. 02-10-1942 Decalb County, Georgia. M. To 4) Zell Smith, Jr.
(Children of John Wesley Waters). B. 03-28-1970 Orange County, Florida. M. To William Oliver Nichols, Jr.
B. 04-30-1951 Duval County, Florida. M. __-__-1975 Duval County, Florida. M. To Randel Allan Crowe. B. 02-24-1954 Duval County, Florida. D. 08-31-1989 Orange County, Florida. Beth. Baptist Cemetery. B. __-__-1820's (1821? )Tattnall County, Georgia. D. __-__-1850's Baker County or Union County, Florida. B. __-__-1820's (1826?) Tattnall County, Georgia. Information about Elizabeth Wester and family was updated by Tom Covington 11-05-2011. B. __-__-1820's (1827?) Tattnall County, Georgia. M. 11-11-1841 Tattnall County or Montgomery County, Georgia. M. To Thompson G. Gibbs. B. 06-29-1824 Tattnall County, Georgia. P. Grove Sharpe and Annie Higgs. MATTHEW SHARP, farmer, Montgomery county, Ga., son of Grove and Annie (Higgs) Sharp, was born in Tattnall county, Ga., June 29, 1824. His grandfather, Grove Sharp, Sr., was of English parentage. 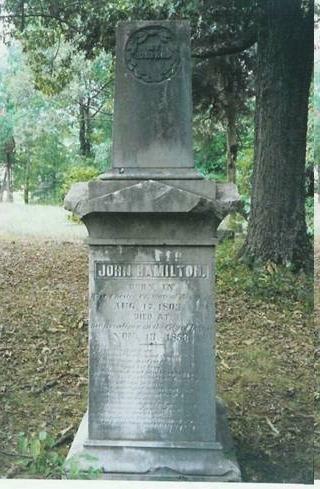 His father was born June 18, 1802, and died Jan. 5, 1865. Mr. Sharp's parents had twelve children Matthew being the first born eleven of whom are living: Matthew; Martha, born Sept 28, 1825 (Mrs. W. D. W. Connor); Littleton, born Feb. 20, 1827, farmer, Montgomery county, married Caroline McAllister; Hiram, born Nov. 28, 1828, farmer, married, first. Miss Mary Hughes, second. Miss E. Cribb; Caroline, born Oct 11, 1830, widow of James C. Connor, who died during the war; Hamilton, born Aug. 30, 1832, died July 22, 1862, also during the war; Willie, born Dec. 11, 1834, farmer, Tattnall county, married, first, Miss Edith Moses, second, Miss Susan Brewer; Rebecca Ann, born Dec. 22, 1836 (Mrs. John Sharp); Elizabeth, born Nov. 24,1838 (Mrs. John Peterson, Montgomery county); Mary, born Nov. 22, 1840 (Mrs. Alexander Hughes); Nancy Higgs, born March 28, 1843 (Mrs. M. D. Peterson); William Henry, born Jan. 24, 1847, farmer, married Miss Emily Gibbs. Matthew Sharp worked on the farm and attended school during his boyhood until of age, and men commencing farming, which has since been his occupation. About 1849 he was elected tax receiver and collector; this was when the two offices were united. During his incumbency they were separated, and he filled one or the other for several years. In 1859 he was elected to represent the county in the general assembly. At the end of his term he enlisted in Company A, Twentieth Georgia battalion cavalry. A few months afterward a new company was organized Company F and he was made first lieutenant of it a position he retained, although often offered promotion, until he returned to take his seat in the general assembly, having been elected to represent the county. Since then he has been elected to several offices in the county. Mr. Sharp has been twice married. His first wife was Miss Nancy C, daughter of Angus and Nancy C. (McMillan) McLeod, born June 27, 1824, to whom he was married Jan. 1, 1852. Her parents were of Scotch descent, and she died Dec. 9, 1862, leaving five children: Annie G, born Dec 23, 1853 (Mrs. John D. McLeod, Telfair county); William H., born Jan. 26, 1855, farmer, married Miss Jennie Carlisle; Elizabeth L., born April 20, 1857 (Mrs. John A. Galbraith, farmer, Montgomery county); Catharine A., born Feb. 12,1850 (Mrs. James D. McGregor, Montgomery county); Franklin M., born Nov. 23, i860. Mr. Sharp's second wife was Miss Ann, daughter of Thompson G. and Elizabeth (Wester) Gibbs, born May 29, 1845, to whom he was married April 6, 1865, and who has borne him two children: Robert Lee, born Nov. 24, 1872, and Nancy Udell, born Oct 20, 1878. He lives on a fine farm in the eastern part of the county, and is a master Mason. B. 05-28-1828 Tattnall County, Georgia. B. __-__-1820's (1835?) Tattnall County, Georgia. B. __-__-1820's (1836?) Tattnall County, Georgia. M. __-__-1840's Tattnall County, Georgia. 1st Lt. Tatnall and Montgomery Counties in 1814; listed 1820 census of Appling County J.P. Tatnall County, 1813 - 1817. B. 12-23-1786 in Edgecombe County, North Carolina. D. 08-02-1857 in Kingston, Roane County, Tennessee. S. WAR OF 1812 - North Carolina MILITIA - PRIVATE. ROSTER OF SOLDIERS FROM North Carolina in THE AMERICAN REVOLUTION - PRIVATE - P. 432, 581. N. C. REVOLUTIONARY PENSIONERS UNDER ACTS 1818 & 1832, AS REPORTED BE SECRETARY OF STATE TO CONGRESS in 1835, 1ST REGIMENT - COL. THOMAS CLARK'S RECORDS VOL. XXII. COMMENCEMENT OF PENSION ($90) 03-04-1831 AT AGE 81. SWEM Virginia INDEX, S7851 NASH County, North Carolina. AGE 26 WAS 5' 8" - DAR VOL. 133. M. 05-01-1804 04-30-1804 Sumner, Bedford County, Tennessee. M. To 1) Elizabeth Betsy Loyd. B. 12-05-1789 Guilford, North Carolina. D. 11-07-1845 Kingston, Roane County, Tennessee. P. John Loyd/Rachael Van DeVere. M. 02-06-1851 02-14-1851 Kingston, Roane County, Tennessee. B. __-__-1830 (about) Polk, Oregon. B. 01-02-1805 Green, Roane County, Tennessee. M. To 1) Mary Jane Brown. P. General John Brown / Mary M. Allison. M. 05-25-1838 Roane County, Tennessee. M. To 2) Mary Smith. M. 08-08-1844 Roane County, Tennessee. M. To 3) Catherine Jane Allison. M. To Wiley W. Love. B. 02-16-1847 in Kingston, Tennessee. D. 06-15-1904 in Kingston, Tennessee. M. To John M. Wester. ACABA. John Marshall Wester, Jr.
D. 11-03-1890 in Kingston, Tennessee. B. 01-12-1871 in Kingston, Tennessee. D. 10-19-1900 in US Transport Sherman/San Francisco Harbor, California. M. 07-09-189_ in Loudon, Tennessee. B. __-__-____ in Loudon, Tennessee. B. 01-12-1873 in Kingston, Tennessee. B. __-__-____ in Kingston, Tennessee. M. 11-25-1899 in Kingston, Tennessee. D. __-__-____ in Waterloo, Iowa. B. 12-16-1880 in Kingston, Tennessee. D. 05-19-1935 in Chattanooga, Tennessee. M. 10-10-1910 in Chattanooga, Tennessee. B. 08-17-1886 in Kingston, Tennessee. ACABH. Woodfin Grady Wester, Sr.
B. 06-27-1890 in Kingston, Tennessee. D. __-__-1952 in Jacksonville, Florida. Buried in Jacksonville, Florida. M. 11-18-1915 in Alexandria, Louisiana. B. 03-20-1899 in Lamourie, Louisiana. D. 11-07-1988 in Houston, Texas. Buried in Jacksonville, Florida. B. __-__-____ in Jacksonville, Florida. B. 10-03-____ in Jacksonville, Florida. D. __-__-____ in Jacksonville, Florida. B. 02-10-1917 in Jacksonville, Florida. D. __-__-1945 in Jacksonville, Florida. Buried in Jacksonville, Florida. M. __-__-____ in Jacksonville, Florida. M. To Jacob Dahl Carter. B. 11-21-1918 in Jacksonville, Florida. D. 04-24-2004 in Jacksonville, Florida. B. 07-24-1918 in Jacksonville, Florida. D. 04-06-2005 in Alamagordo, New Mexico. B. 05-01-1923 in Jacksonville, Florida. M. 05-02-1923 in Jacksonville, Florida. M. To Charles Bufton Birchwood. B. 01-29-1906 in Daytona Beach, Florida. B. 12-01-1954 in Jacksonville, Florida. M. To Julia Sylynn Blanton. B. 01-20-1964 in Philadelphia Naval Hospital. ACABHECA. Mark A. Jackson, Jr.
ACABHF. Woodfin Grady Wester, Jr.
B. 07-18-1925 in Jacksonville, Florida. M. To Betty Louise Chesser. B. 01-24-1930 in Jacksonville, Florida. D. 02-04-2003 in Jacksonville, Florida. Contributions were provided by Laura Lynn Wester (ACABHFAA) for descendants of (ACABHFA. Kenneth Grady Wester.) - August 2007. B. 02-01-1948 in Jacksonville, Florida. B. 01-23-1951 in Jacksonville, Florida. M. To Marshall Layton Brewton. ACABHFBA. Marshall Layton Brewton III. ACABHFBB. Ada Emily Elizabeth Brewton. B. 03-08-1959 in Jacksonville, Florida. ACABHG. Reverend Thomas Nathan Wester, Sr.
B. 04-24-1936 in Jacksonville, Florida. S. Mar. 1984, U.S.A.R., E7, Discharge, in Jacksonville, Florida. Retired Mar. 1984, Florida, U.S.CC. M. To 1) Linda Miller. M. 07-25-1955 in Santa Fe, New Mexico. M. To 2) Theresa Helen Lopez. B. 05-03-1937 in Santa Fe, New Mexico. M. 04-20-1976 in Kingsland, Georgia. B. 08-18-1956 in Santa Fe, New Mexico. M. To 1) Joseph Patrick McAnallen, Jr.
B. 04-01-1955 in Parkersberg, West Virginia. M. 06-22-1979 in Folkston, Georgia. M. To 2) Nick Charles Eggemeyer. ACABHGAA. Joseph Patrick McAnallen III. B. 08-23-2005 in Jacksonville, Florida. B. 10-28-1957 in Santa Fe, New Mexico. M. To 1) John Dale Benge. M. To 2) Tom Edward Blanchard. B. 01-02-1954 in Springs, California. M. To 3) Jim Allton, Jr.
B. 05-07-1951 in Annapolis, Maryland. B. 06-22-2002 in Jacksonville, Florida. ACABHGBD. Isabella Victoria Rose Allton. B. 01-14-1959 in Jacksonville, Florida. M. 04-10-1976 in Jacksonville, Florida. M. To Bruce Charles Ellison. B. 09-28-1954 in Jacksonville, Florida. B. 03-03-1978 in Jacksonville, Florida. M. 12-04-1999 (not married) in Jacksonville, Florida. M. To Thomas Dean Riner. ACABHGD. Thomas Nathan Wester, Jr.
B. 04-11-1960 in Jacksonville, Florida. M. To Kathy Lynn Fredrickson. B. 05-07-1958 in Jacksonville, Florida. B. 10-22-1977 in Jacksonville, Florida. B. 12-15-1999 in Jacksonville, Florida. B. 07-18-1984 in Jacksonville, Florida. M. 09-14-2002 in Jacksonville, Florida. M. To Jeremiah Dewayne Mosley. ACABHGE. John Paul Wester, Sr.
B. 05-17-1964 in Jacksonville, Florida. M. 11-04-1995 in Jacksonville, Florida. M. To 3) Laura Lea McLaurin. B. 02-14-1984 in Jacksonville, Florida. B. 06-23-1985 in Jacksonville, Florida. ACABHGEC. John Paul Wester, Sr.
(Apr. 10, 1986, Judgment of Adoption to,, Victor Lee Mudd. M. To 1) Harry Miles. M. To 2) John Hathaway. M. To Thomas C. Erwin. M. To John F. McNutt. M. To 1) Robert Kendrick. M. TO 2) Henry Crowder. B. 02-01-1807 Green County, Tennessee. D. Between 1808 and 1897. M. 12-04-1827 Roane County, Tennessee. M. To William C. McKamy. ACC. Edith G. (Edy) Wester. B. 06-01-1809 Green County, Tennessee. D. 10-01-1894 Green County, Tennessee. M. 02-17-1826 Roane County, Tennessee. M. To Louise J. Smith. M. To William Clyde Anderson. M. To 1) Kaye Sutton. M. To 2) Ruby Olive Armour. M. To 3) Gertrude Serota. M. To Mary Virginia Diez. M. To Beulah Inez Dority. M. To Rachael Ann Smith. M. To Leland Warren Estes. M. To Patricia Ann (mnu). M. To Ellis Howell Cannady. M. To Richard Lance Owen, Sr.
ACCDAADAB. Richard Lance Owen, Jr.
M. To Mary Elizabeth Carter. ACCG. Rachel Denny (Dennie E.) Turner. ACCH. Christopher (Columbus C.) Turner. M. To Sarah Jane Gault. M. To William P. Rainey. B. 09-22-1811 Kingston, Roane County, Tennessee. M. 02-13-1834 Roane County, Tennessee. B. 08-17-1803 White Plains, Westchester County, New York. D. 11-13-1853 Dalton, Whitfield County, Georgia. B. 11-20-1834 Dalton, Whitfield County, Georgia. D. 09-18-1908 Dalton, Whitfield County, Georgia. M. 12-25-1872 Dalton, Whitfield County, Georgia. M. To Georgia A. Baker. D. 01-02-1920 Dalton, Whitfield County, Georgia. D. 11-11-1944 Fulton County, Georgia. His death certificate lists Georgia Strickland as his mother. D. 06-27-1873 Dalton, Whitfield County, Georgia. D. 04-16-1931 Whitfield County, Georgia. B. 11-30-1874 Dalton, Whitfield County, Georgia. D. 11-11-1946 Whitfield County, Georgia. B. 11-02-1836 Dalton, Whitfield County, Georgia. D. 05-13-1907 Fulton County, Georgia (West Hill Cemetery). M. 12-20-1860 Dalton, Whitfield County, Georgia. M. To Robert Ezra Wilson Green. B. 11-12-1838 Dalton, Whitfield County, Georgia. D. 11-03-1900 Dalton, Whitfield County, Georgia. M. 10-03-1882 Dalton, Whitfield County, Georgia. M. To Mary A. Rider. D. 07-28-1963 Dalton, Whitfield County, Georgia (West Hill Cemetery). B. 12-17-1840 Dalton, Whitfield County, Georgia. M. 11-10-1868 Whitfield County, Georgia. M. To Georgia Ann Oliver. B. 12-31-1842 Dalton, Whitfield County, Georgia. D. 04-25-1843 Dalton, Whitfield County, Georgia. B. 05-02-1844 Dalton, Whitfield County, Georgia. D. 09-13-1852 Dalton, Whitfield County, Georgia. B. 04-12-1846 Dalton, Whitfield County, Georgia. D. 04-12-1846 Dalton, Whitfield County, Georgia. B. 03-22-1847 Dalton, Whitfield County, Georgia. D. 01-17-1919 Dalton, Whitfield County, Georgia. M. 03-17-1874 Whitfield County, Georgia. M. To Elizabeth Dysart "Betty D." Lucky. P. Seth J.W. Lucky / Sarah Rhea. ACDHA. Jane Lucky "Jennie" Hamilton. B. 12-23-1874 Dalton, Whitfield County, Georgia (West Hill Cemetery). D. 10-23-1955 Dalton, Whitfield County, Georgia. D. 10-22-1964 Dalton, Whitfield County, Georgia (West Hill Cemetery). ACDHD. George Washington Hamilton, Jr.
B. __-__-1881 Dalton, Whitfield County, Georgia. D. 10-17-1950 Whitfield County, Georgia. M. To Mary Hill Carter. D. __-__-1954 Dalton, Whitfield County, Georgia. P. Benjamin Franklin Carter / Lillian Whitman. B. 07-12-1913 Fulton County, Georgia. D. 08-12-1998 Hamilton County, Tennessee. M. To John Michael McKnight. D. __-__-1977 Montclair, New Jersey (Carter Family Cemetery). ACDHDAA. John Michael McKnight, Jr.
B. 01-02-1920 Dalton, Whitfield County, Georgia. M. 12-20-1940 Dalton, Whitfield County, Georgia. M. To Robert Ernest McCallum, Jr.
B. 01-01-1920 Henderson, Chesterfield County, Tennessee. D. 04-22-1999 Powder Springs, Georgia. P. Robert Ernest McCallum, Sr. / Ruth Omega Hartley. ACDHDCA. Robert Ernest McCallum, III. B. __-__-1948 Dalton, Whitfield County, Georgia. B. 04-01-1958 Dalton, Whitfield County, Georgia. M. __-__-1985 Sullivan's Island, South Carolina. M. To 1) Susan Ann Gorman. M. To 2) Lynn Teresa Smith. B. __-__-1960 Coral Gables, Florida. M. 03-31-2007 Sandy Springs, Georgia. M. To 3) Wendy Gay Seghi. M. To Mary Ann (mnu). ACDHE. Cornelius Lucky "Neil" Hamilton. B. 02-25-1884 Dalton, Whitfield County, Georgia. D. 11-13-1951 Dalton, Whitfield County, Georgia. M. To Ethel Downing Brothers. D. 03-25-1969 Dalton, Whitfield County, Georgia. P. David Gross Brothers/Mary Ella Wyly (Horndon). M. To Jack B. Ray. B. 10-08-1914 Dalton, Whitfield County, Georgia. M. 06-29-1935 Dalton, Whitfield County, Georgia. M. To William Harrison Hightower, Jr.
B. 10-31-1920 Rome, Floyd County, Georgia. M. To Joann N. (mnu). B. 04-05-1887 Dalton, Whitfield County, Georgia. D. 08-29-1949 Dalton, Whitfield County, Georgia. D. 12-05-1953 Dalton, Whitfield County, Georgia. D. 03-14-1993 Murray County, Georgia (Carter Family Cemetery). M. To Mary Lou Calhoun. M. To John Walter Cummings III. ACDHFCA. John Walter Cummings IV. D. 05-30-1912 Dalton, Whitfield County, Georgia. M. 11-18-1873 in Atlanta, Georgia. D. __-__-1939 Dalton, Whitfield County, Georgia. B. 02-03-1849 Dalton, Whitfield County, Georgia. D. 08-21-1850 Dalton, Whitfield County, Georgia. ACDK. Elizabeth M. "Lizzie" Hamilton. M. 10-20-1886 Dalton, Whitfield County, Georgia. M. To Thomas J. Hardage. B. 03-27-1814 Kingston, Roane County, Tennessee. D. Between 1815 and 1904. ACEA. George Washington Wester, Jr.
B. 11-30-1816 Kingston, Roane County, Tennessee. B. 02-02-1845 Roane County, Tennessee. D. 08-02-1861 Roane County, Tennessee. M. To Sarah Elizabeth Ellis. M. To Belle Jackson Banfield. ACFDAA. Aulza Artelia June Wester. M. To Henry Valentine Moss. M. To Joseph Francis O'Connell. B. 06-08-1819 Kingston, Roane County, Tennessee. M. 08-04-1839 Roane County, Tennessee. B. 09-24-1821 Kingston, Roane County, Tennessee. D. Between 1822 and 1915. 'The East Tennessean' reported his as Mayor: 09-23-1825 and 04-13-1876. B. 06-28-1823 Kingston, Roane County, Tennessee. D. 08-01-1912 Kingston, Roane County, Tennessee. M. 10-24-1841 Kingston, Roane County, Tennessee. M. To 1) Sarah Hamel. M. 12-19-1848 Kingston, Roane County, Tennessee. M. To 2) Catherine E. Yost. M. To 3) Martha Brown Smith. ACIB. John Marshall Wester, Sr.
B. 04-08-1845 Kingston, Roane County, Tennessee. D. 06-13-1908 Kingston, Roane County, Tennessee. B. 01-17-1826 Kingston, Roane County, Tennessee. D. Between 1827 and 1916. M. 03-30-1848 Roane County, Tennessee. M. To 1) Mary A. Johnson. M. To 2) Elizabeth Roddy. M. To Lelia A. Rice. ACJE. Elizabeth (Lizzie) Gates Wester. B. 09-03-1828 Kingston, Roane County, Tennessee. D. Between 1829 and 1918. B. 10-24-1829 Kingston, Roane County, Tennessee. D. Between 1830 and 1923. M. 02-06-1848 Kingston, Roane County, Tennessee. M. TO Thomas B. Coleman. B. 02-17-1852 Kingston, Roane County, Tennessee. B. 01-20-1853 (1854) Kingston, Roane County, Tennessee. D. 07-19-1898 Walla Walla, Washington. M. To Martha Emaline Wann. D. 01-__-1950 Oakland, Alameda, California. D. 10-06-1951 Somerton, Yuma, Arizona. M. 06-10-1914 Los Angeles, California. M. To Letitia Emma Walton. B. 04-30-1883 Spearfish, South Dakota. M. To Jennifer Elizabeth Sechrist. ACNBBD. John Francis Wester, Jr.
B. 02-01-1801 Washington County, Tennessee. D. 08-18-1880 Wills Point, Texas.